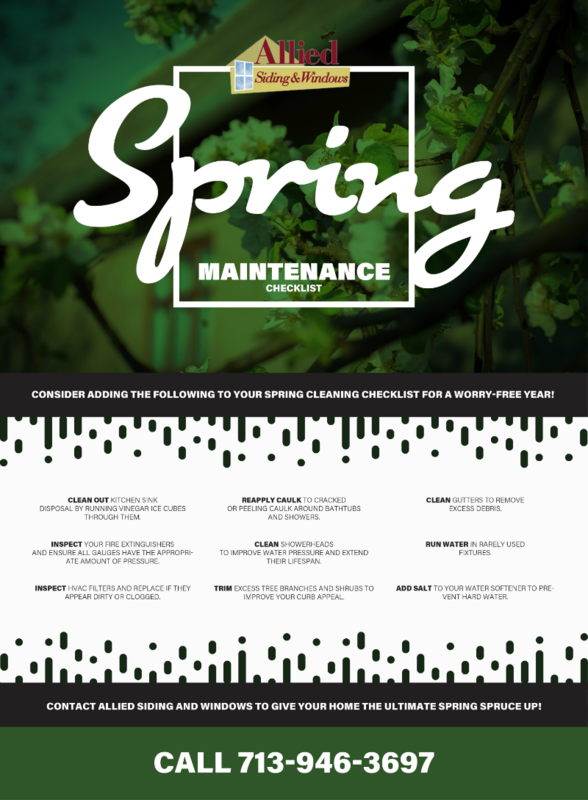 There’s no better time to perform some much-needed maintenance on your home than during the beginning of spring. Although we’re fortunate to experience incredibly mild winters in Southern Texas when compared with our fellow Americans in much of the nation, there are still an array of exterior and interior maintenance items worth checking every year. 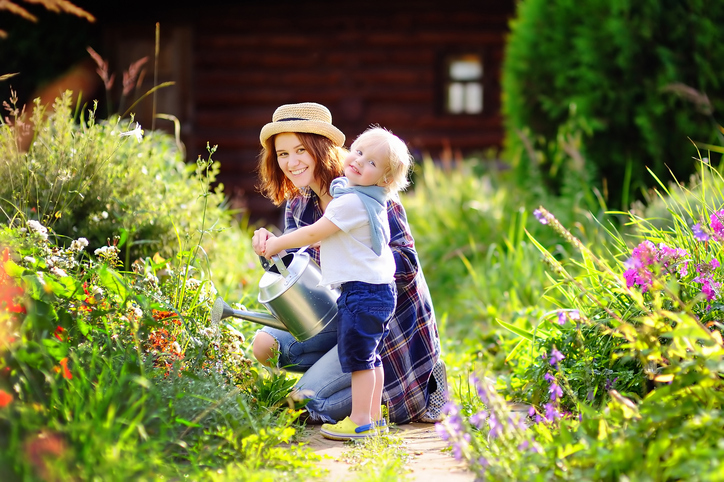 Here is a spring maintenance checklist to keep in mind while preparing your home for the next, significantly more intense season – summer. Keep in line with the blooming beauty of spring by cutting excess branches and trimming shrubs and bushes to elevate your home’s curb appeal and keep your lawn and yard looking neat and tidy. April showers are coming, so it’s important that gutters, downspouts and downspout extensions work properly. Clear them free of debris and test them by running water through them to see how much water they filter out. Over time, salt in your water softener system naturally dissipates and leaves you with hard water. Skip the unpleasantness of showering in hard water by taking the time to add salt to your water softener system. It’s a short, five-second task that’s well worth taking the time to do. Running water through pipes you generally don’t use, such as isolated outdoor nozzles, helps prevent grime and blockages from building up within them. Rinse and drain all of your pipes, including toilets and faucets in guest bedrooms or spaces you don’t regularly use. With the arrival of spring comes a seasonal pest – allergies. Allergy-causing pollen and dust can cling to your clothing and end up being circulated throughout your home. Your HVAC air filters may catch them, but they’ll remain caught in your filter and your home until you change it out for a fresh one. Make sure to either clean or replace your air filters to purge them of pollen and dust, ensuring you can breathe easy within your own home. As the temperature begins to rise, there’s no better time to apply a fresh coat of paint and weatherproof your patio, deck or porch. Look for rotted supports or sagging roofs and replace them to prepare for April showers and the intense heat of summer. Welcome the arrival of spring by updating your home with Allied Siding and Windows. Allied sells products from the best, most reliable manufacturers of roofing materials, doors, windows, gutters and siding and installs them throughout the Houston and Austin areas. Our portfolio includes affordable window replacements from Andersen, Simonton and Don Young, high-quality shingles, ultimate performance gutters and industry-leading siding. Allied refuses to sell a nameless or unknown brand. Instead, we provide our customers with the best possible features and products from the most trusted brands. We follow a 14-point production checklist and employ highly trained factory crews to ensure quality windows and installation. We’ve been a member of the Better Business Bureau since 1988 providing quality products, expert, factory-trained crews and affordable prices. Contact us today to purchase our products or schedule maintenance. Share this infographic on your site. Just copy and paste the code below.